It required a few hard frosts, but my dead cotton plants finally withered and died. 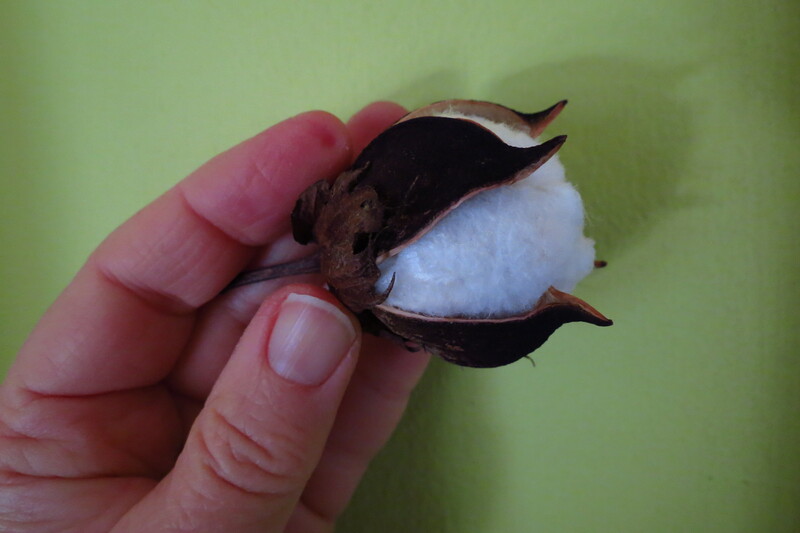 As they did so, their bolls cracked open to reveal fluffy white cotton fiber. Some of the bolls are not premium, for their contents were stained by the cold fall rains, but most of them appear to have usable fiber. The first six bolls, in various stages of purity and/or staining. 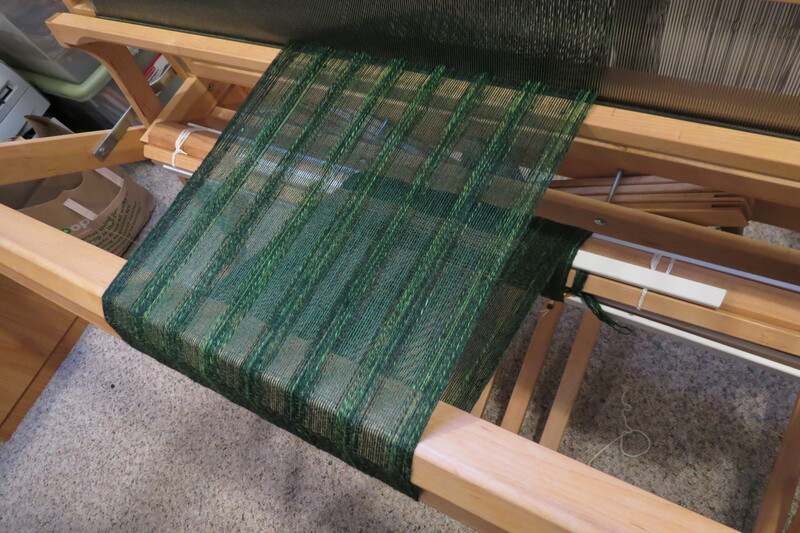 This morning I spun a quantity of thread directly from the best of the bolls. It spun perfectly, with a barely-audible crackling sound as the fine fibers rasped against each other. 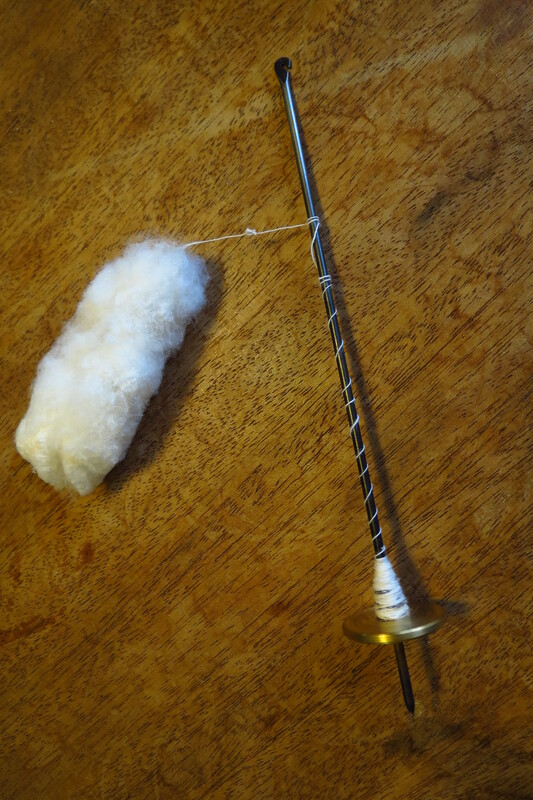 There’s a seed embedded in the cotton at the end of the thread, but I’m spinning right off of it with no difficulty. 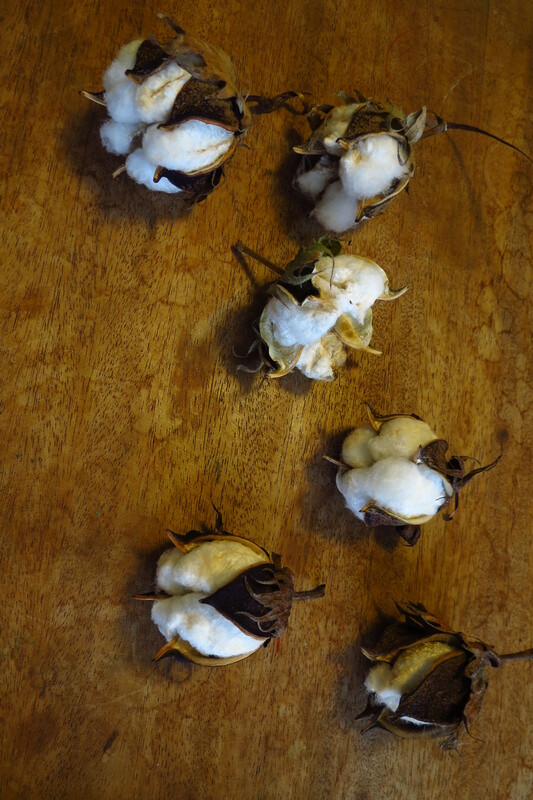 Each boll has four quarters of densely packed cotton fiber. 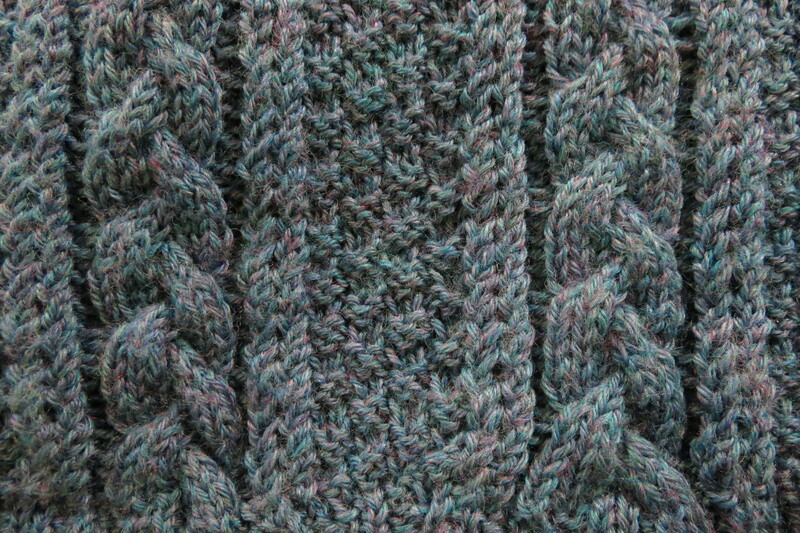 (One had five sections instead of four: a bonus to the spinner!) Each section easily lifts from its dried capsule and then can be fluffed apart until it’s vastly larger than it began. This is the first boll, teased apart until it was loose enough to spin from. The eight or nine seeds are still embedded deeply. Each boll has a beautiful symmetry. Cotton is supposed to have a growing season between 150 and 200 days, but mine turned out to be much longer. I started the seeds the first or second week in February and am only now (Nov. 23) reaping the results after 252 days. (Perhaps I planted them outside too early and stunted their development.) 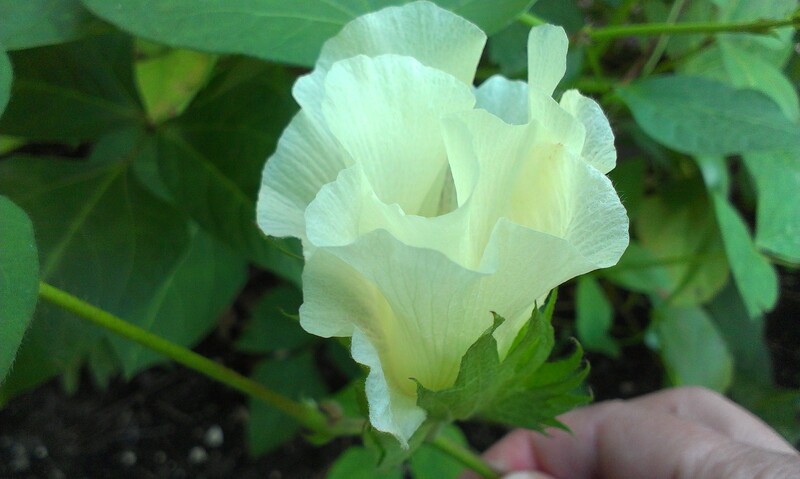 I don’t know what variety I am growing, for I helped myself to some of the seeds of the cotton that grows at Indiana University’s Jordan Hall Greenhouse, and the variety is not marked. It has a fairly long staple, quite fine, and is most likely a modern hybrid. I’ll keep some of the seeds and plant them out again in the spring to see what results I get. 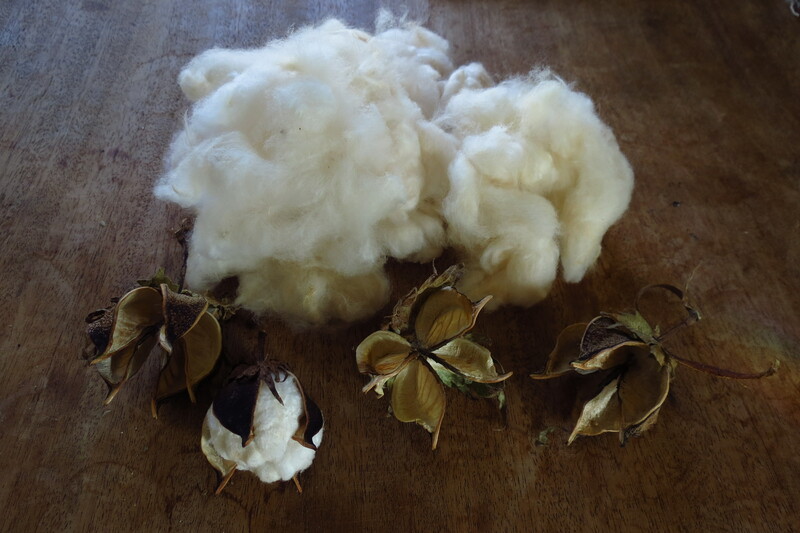 The pile of teased out cotton fiber in the next photo was the contents of only four bolls. 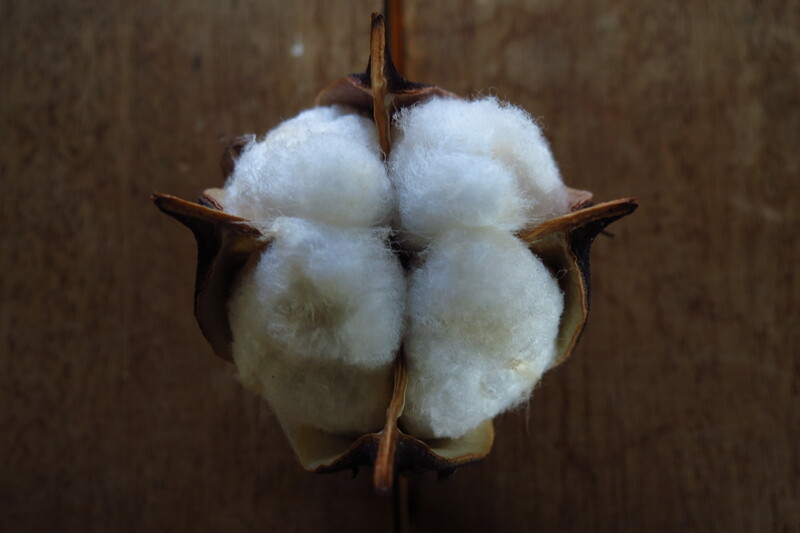 Each quarter-segment of cotton from each boll contains about enough fiber to spin 8 to 10 yards of thread. 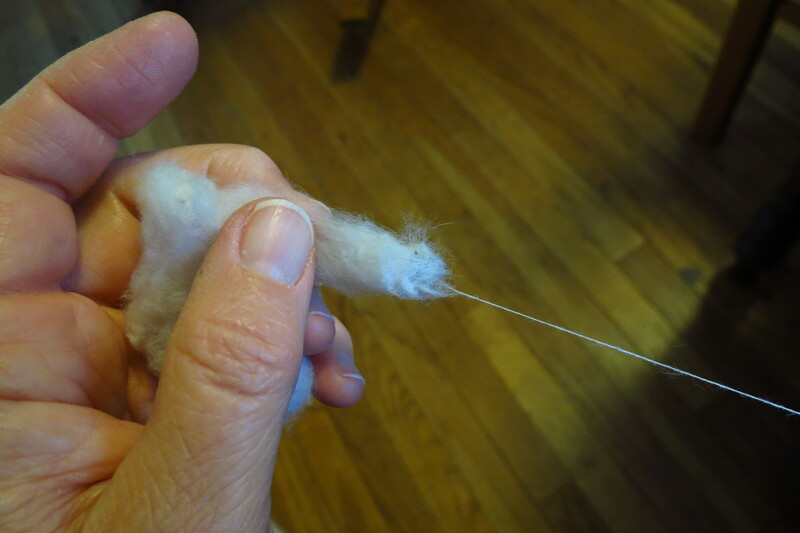 All things considered, it was a fun experiment to grow cotton for the first time. I will do it again next year, but will start the seeds in large pots that can remain inside on my windowsill until well into May when the soil really warms up. Note to anyone contemplating doing this themselves at home: cotton plants apparently hate to have their roots disturbed, so be gentle when transplanting. I’ve just read your entire blog and all I can say is WOW!!! Love the first post on spinning and life!! I feel the same way too!! I can’t wait to grow cotton this upcoming season. The last time I touched one was when I was a little girl!! Thank you for reading my essays, Amina! 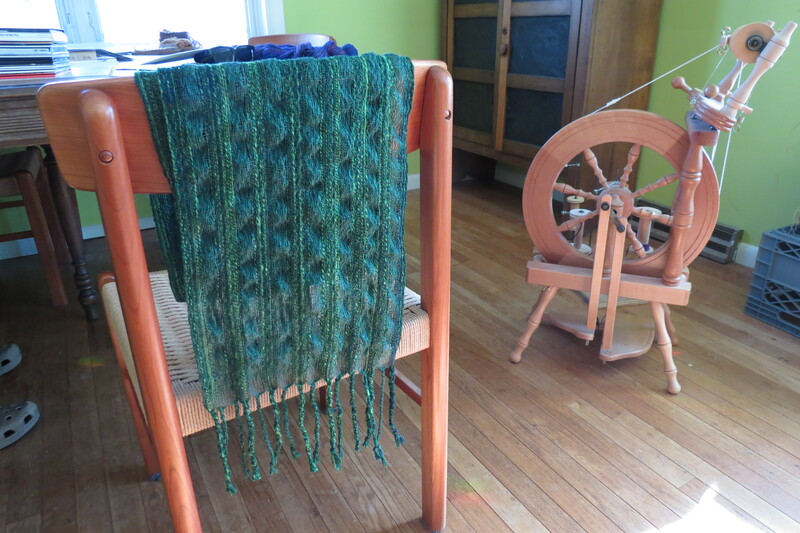 Fiber has always interested me throughout my adult life, but in the past few years it has assumed an importance and a depth that’s difficult to convey to others who are not involved in weaving or spinning. This blog is where I share the activities that are dear to my heart, and I am very grateful that you enjoyed it so much.